Having broken through the Y100 barrier, there is considerable potential for the Yen to fall further. How will markets react? “Abenomics,” QE-Squared, or “the dash for Trash,” are all terms to describe Japan’s highly unorthodox economic policies under Abe. With the rare (in central banking circles) policy of deliberately targeting higher inflation, Japan’s bold experiment in ending its “lost decades” reached yet another milestone this week. With the Bank of Japan’s (BoJ) massive programme of easing well underway, the level of the Yen has been a focus of much speculation and attention from financial professionals. This last week, the Yen dropped below what market participants and pundits term a key “psychological” barrier. It weakened to more than 100Y to the USD for the first time since the post-crisis dollar spike and unwinding of the carry trade – back in April 2009. Psychological barriers are not just conveniently round numbers, they tend to become focus points at which certain trading strategies are triggered, particularly amongst hedge funds and in currency markets. As the Yen weakened below the all important Y100:1USD mark, for many traders the next “barrier” will be Y110:1USD. The weak Yen, whether an intended consequence or a welcome side-effect of Abe’s easing programme, is expected to give a welcome boost to Japan’s export sector, particularly those companies competing against Korean, American and Chinese rivals. Indeed, even though changes have begun at home much of the effects of Japan’s “Abenomics” will be felt abroad. 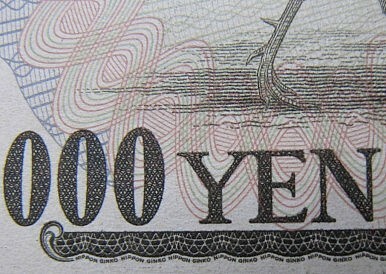 The weaker Yen will pressure Japan’s competitors on world markets. Hence, as the Bank of Korea (BoK) unexpectedly cut its benchmark interest rates this week, it cited pressure from the weak Yen as one of the motivating factors. Whilst the other advanced economies apparently signed off on Japan’s moves during recent international summits, and the IMF considers the current Yen level “appropriate”, there is no guarantee that the international environment will remain as permissive going forward. For one thing, so far Japanese investors have not been shorting their currency, even as hedge funds across the globe have been reaping profits from such trades. It is unknown whether or not Japan’s influential retail investors will get involved in the trade, but if they do, they can bring considerable pressure to bear. Having broken through the Y100 barrier, there is considerable potential for the Yen to fall even further; the Y110 level no longer seems unlikely. There is no guarantee that Japan would want such an outcome. Since Fukushima, energy import bills have soared, and a weakened Yen contributed to the monthly trade deficit in March. Meanwhile, despite acquiescence so far, Japan received a foreboding warning from the United States ahead of the G7 summit in the UK.